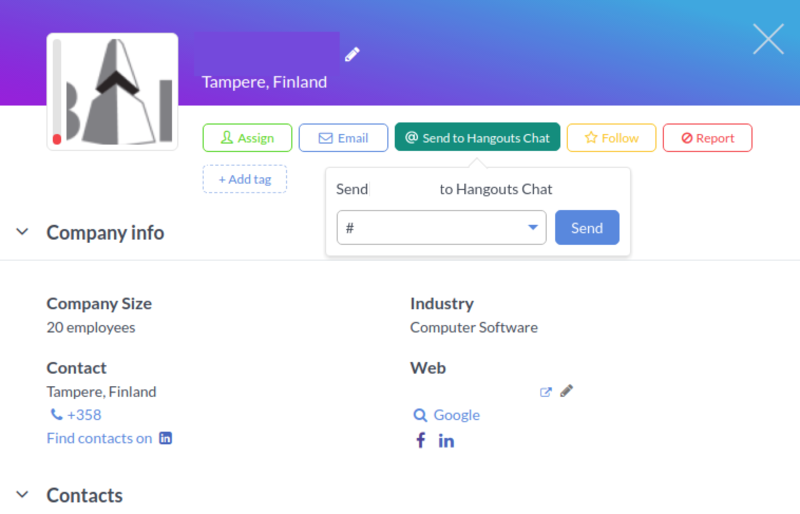 Once you've successfully integrated Leadfeeder to your Hangouts Chat space you can send Leadfeeder leads to Hangouts Chat. A new button Send to Hangouts Chat has appeared in the lead details section. By clicking on it, the chat space list will open up. Choose the space you want to send the lead to and click on Send. NOTE: In case the space you want to send the lead is not appearing, mention @LeadfeederBot on the space to get it on the list. 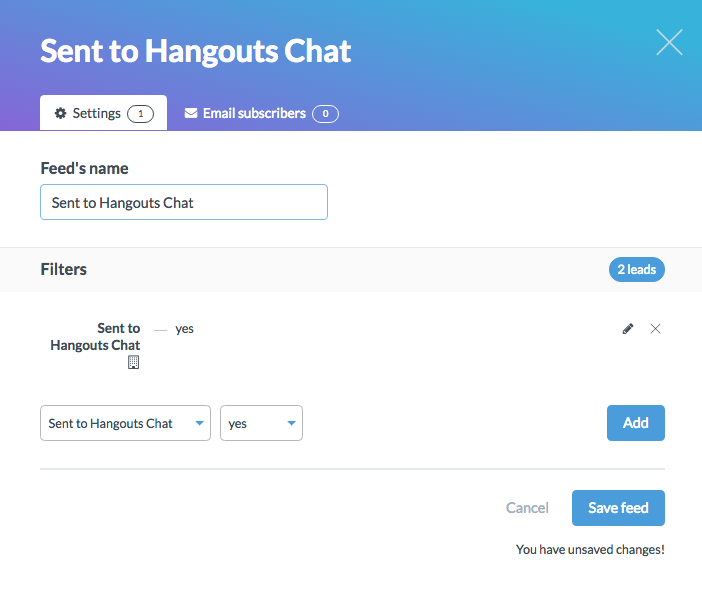 Furthermore, you can filter the leads already sent to Hangouts Chat by creating a custom feed.